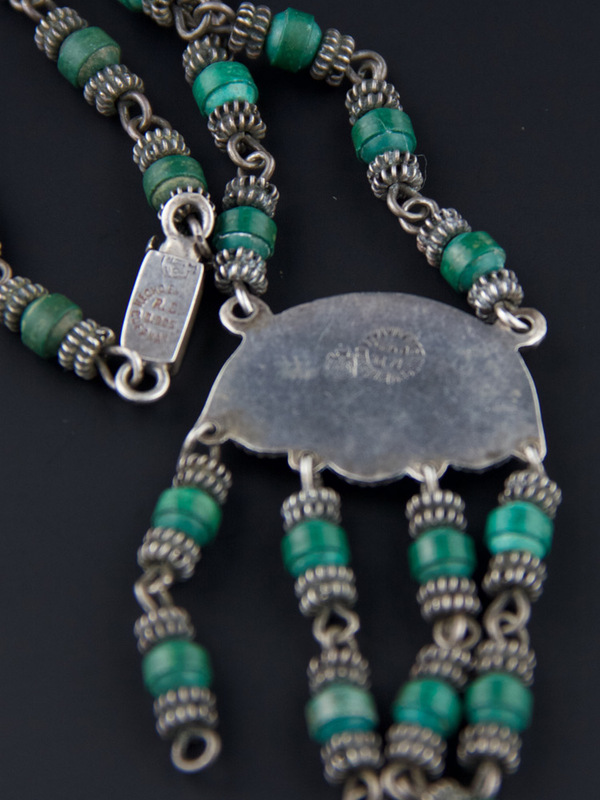 Very nicely made, mid century, Mexican sterling silver necklace. Hand crafted in Cuernavaca, Mexico circa 1950's. 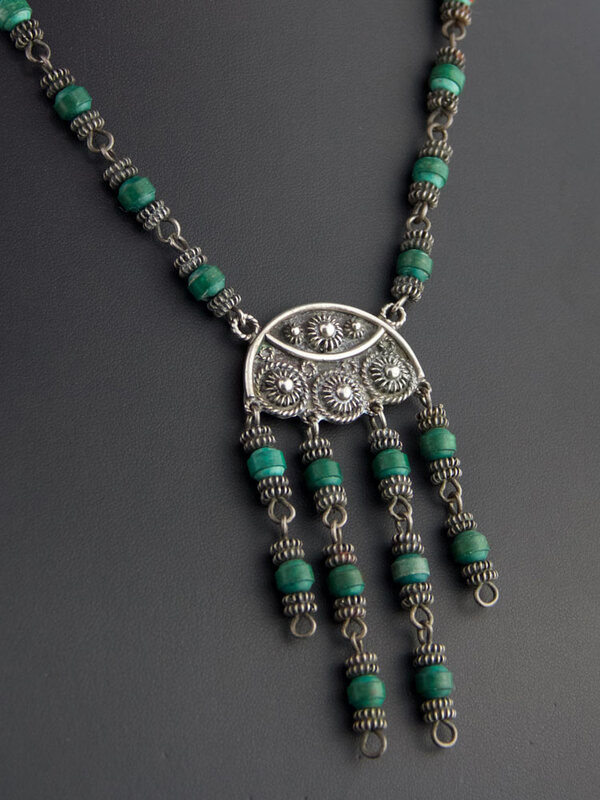 This necklace is in the Etruscan Reviv al style with detailed Cannetille silver work (a close relative of filigree work). 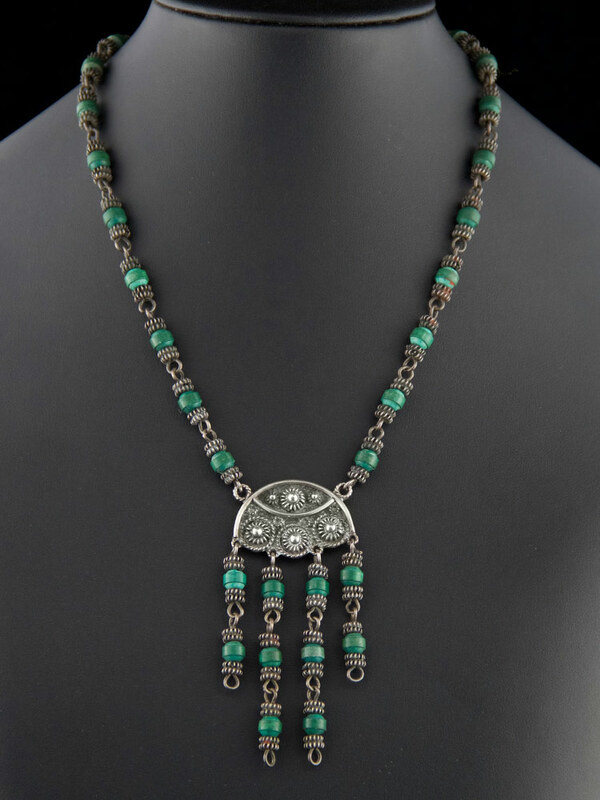 Fantastic carved and unpolished malachite beads and detailed links. 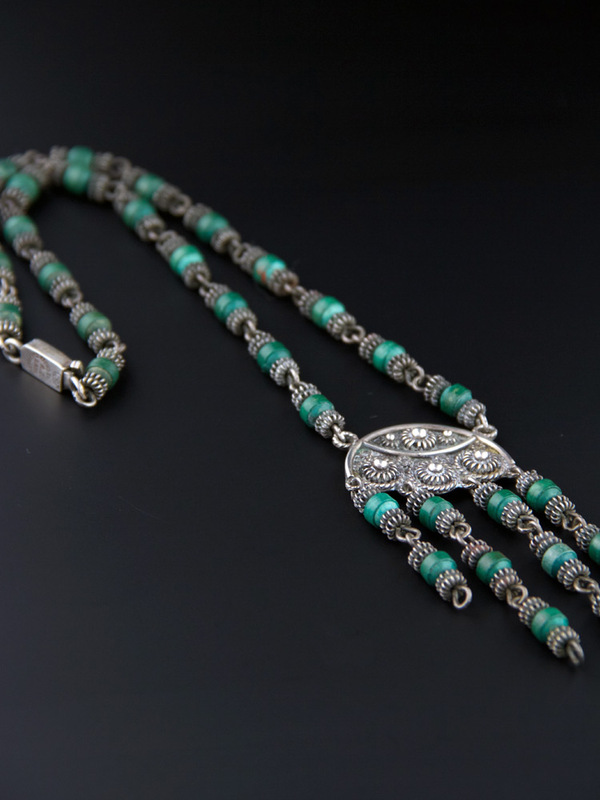 Secure tab clasp and gorgeous centrpiece with finely crafted silver work and dangled beadwork. 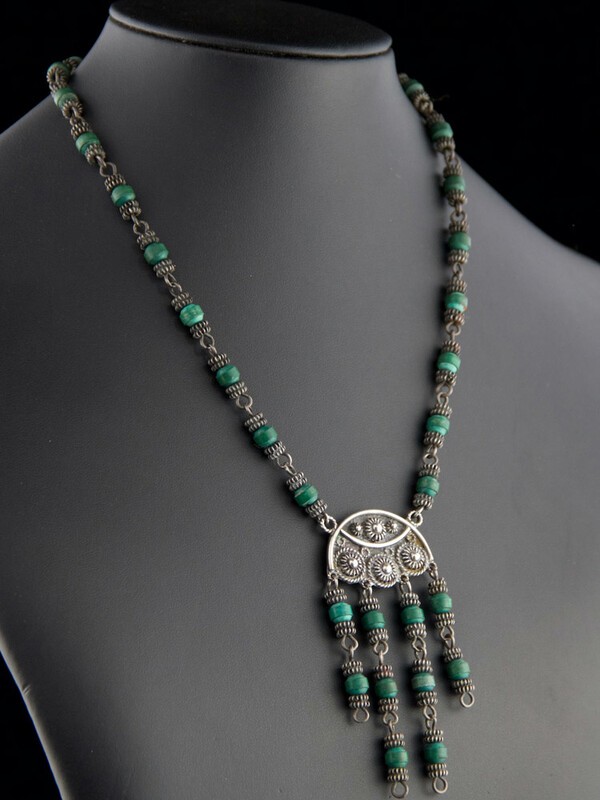 A fine and unusual example old Mexican jewellery. Approx 46cm long (excluding centre pendant which is 3.2cm x 7.5cm). Good for most sized necks. Spectacular vintage condition. Shows mild wear commensurate with age, no dings or chips, there are some uneven colours patches on the alpaca on the reverse only, will come with some patina, as level of polish is a matter of taste Has a handcrafted look to it - spectacular vintage piece.